HS: Hendryk, you said it, Yuzuru Hanyu, if he delivers the ideal four and a half minute performance here he might be able to turn the tide to his advantage- it's just a question of how fresh he still is, the olympic victor from Sochi. SH: I don't believe it. I believe.. ehm.. that is.. all Olympic gold medalists go through the... the media hype that naturally arises and ehm they have to attend talk-shows and do this and that... and then to come here and have to be fit after this long season which, after all, started in October for him. HS: Romeo and Juliet by Nino Rota - his program. SH: Well, if this continues he still has a chance. SH: That means he will probably do all his combination jumps after the second minute where he can earn the bonus points. HS: He doesn't leave anything out- strong until now. SH: Now he really needs a break. The program he has planned here- unbelievable. SH: WOAH that's impossible! That he is able to jump a triple Salchow in this situation- it's unbelievable. SH: This is enough (to win)! SH: Look at this, they will probably have to carry him off the ice. HS: an unbelievable act of strength- by Yuzuru Hanyu. SH: And you can see that he was already drained by the second minute. HS: What kind of fighting spirit resides in him- wanting to prove it once again infront of his own audience. HS: He accepted this high-level declaration of war by his collegue Machida and probably even topped it. HS: 288.26 points are to be beat, dear viewers. 100 already in the technical score- 7 points infront of Machida in this category. SH: Right now, what was his deficit? He has a deficit if 7... on the dot, exactly. HS: So now the PCS is the determining factor, there he will earn more (than Machida). SH: A Japanese world champion title can only be prevented by Javier Fernandez now. SH: But put your hand on your heart- after the Olympic games, you have adressed it, after the alleged and presumed fuss and all the schedules he had to attend- here at the World Championships at the very end of the season, in the very last free skate of the season- to complete such a program says alot about the qualities of this young man. SH: He has already recovered! Well, he is sitting all alone because Orser has to tend to Javier Fernandez. HS: Well, the training collegues are fighting against each other- all in their own ways. Well, everyone now is waiting for... is waiting, dear viewers, for the scores. HS: Three tenths!! The olympic gold medalist could also become the world champion- except if Fernandez wins the Free Skate now- but this was really strong. HS: ... and Hanyu is walking like a 70 year old with a walking stick but now that is... of course his back is probably hurting... but now that seems a bit of a show. [He is calling Yuzu out for being fake.] It's understandable, he may do that, he is a young lad, he may do that. Hanyu ahead of Machida, the Olympic gold medalist has also become the world champion and with that he shows a great fighting quality. It shows personality. SH: This really surprised me- that he managed such a close fight with Machida, that he gave it his all. - The record holder of everything. He holds the record in the SP 110.95, which he showed in the GPF last season, the record in the FP in the same GPF 219.48, and understandably, the overall record. This program looked weird, not his program when he first showed it. But then when he started to skate it well as in Marseille GPF, it produced a radically different impression. Let's Go Crazy by Prince. - He does 4Lo, with a lean, but he pulls it off! The judges added generous GOE to the base value - 12+2. (before the combination) Now he has to control himself. There was a mistake here during the warmup. - Well yeah, did you see? - He carried the mistake into the programme. - He finishes with a unique penultimate spin position - first time I've seen it. Well, Hanyu is Hanyu still, no matter how he jumped - the skating is still his. - People can't dance in the ballroom floors like that! - ... transitions from lunges into spins - crazy things! 49.50, by the way - and he lost 10 points BV by failing to do 4Sa. A single sal is 0.4, a quad is 10.5 - so he loses 10 points, and had he done it, he'd have received positive GOE, as ever, so he lost not just 10, but around 12 points. - on the other hand, it's very hard to win always, it's a lot of pressure, it's hard to imagine what pressure they're under, these skaters who have been around fighting for gold medals all these years. - Yes, you're right, perhaps that's why he lost two World Championships to Fernandez. 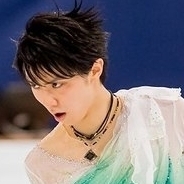 But the situation is that this pre-Olympic season Hanyu has no right to lose the World Championship. - Crazy PCS. It's clear that he should shorten on the the technical points gap between himself and Nathan Chen with his components... he'll get over 9 points in every aspect there, which means that he should win around 5 points in components. He won't 10 points behind - it should be around 5 points. Nathan Chen has 103.12, but let's remember we have Patrick Chen, Boyang Jin and Shoma Uno later. - And Misha Ge, btw. - Well, Misha Ge doesn't have two quads unlike Shoma Uno. And neither does Patrick Chan. And Boyang Jin has 4Lz and 4To. - He's 6 points behind. He's second. He's so happy - Yuzuru Hanyu is always demanding to himself and he's always self-critical. These numbers I give - 203-204 - are the points which male skater should now strive for in order to win. Yuzuru Hanyu's record of 219.48 is just unbelievable, Fernandez has 216 under his belt, so one should get from 205 to 210 in the FP. OK, here we go - Yuzuru Hanyu! 3 position after the short, 6 points behind Nathan Chen. Can he eliminate the gap? He has to skate 6 points better than Nathan Chen who showed a fantastic skate at the Nationals with five quads. A stunning start - 4Lo! 14 and something. Oh, 14.00. 2 points to the BV. 4Sa, well-done! Great - that has been the most problematic quad lately! 26 points for two quads. Brian Orser at the boards - applauding cautiously. The girls were performing to the music of Hisaishi's Princess Mononoke, Hanyu took a different tune of the same Japanese composer. 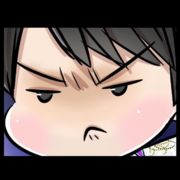 Yuzuru's gaining speed... Salchow quad... ARRRGH - only double! Double and single! He was to have jumped a quad sal in combination with 3To. He loses a lot! He's already lost 10 points on it. 4To. Clean, very well! He's jumped three quads out of four planned. As usual, a fantastic 3A with a 3To in combination. There should be a loop here (the commentators make a mistake - there should have been a 3A), no, there won't be a loop here. One more quad! Wow! Instead of 3Lo he jumps a 4To-2To combination and he pulls it off! 3A right at the end of the program! Unbelievable! Instead of 3Lz! That was just an incredible skate he's shown. I've only one association - 112.53, just have a look - an association: when one learns a foreign language and they master a certain level of it, they start living freely in that alien language, and it's just invaluable when you find synonyms, change constructions, are able to create something in that foreign language - it becomes your own language. This skate was something like for Yuzuru Hanyu - what everyone else trains, the element which demands efforts from the others has become his own native element for him, and so he can change it on the fly, he can try one jump, he fails it, and he changes the quad, he changes for something more difficult -and he does it while he's skating! Which means he has such resources of strength, of freedom in technically superdemanding elements that he easily creates a program anew - not the way it was conceived, but the way he performs it now. Unbelievable! Let's see it. The start - 4Lo, rotated and successful, with good GOE, 4Sal, a bit tense, but it's a quad, it's not going to be easy for Hanyu or Nathan Chen. Then 3F - just a passing element in his program, though it's worth 5.3. Then he fails to jump a 4Sa3To, he only does 2-1. Then he does 4To, and then he does 3A with 3To, not with 2To, as he had planned, and then he does not 3A3Sa, he jumps 4To in combination with 2To, and then he understands he has this 3A in reserve which he puts instead of the lutz right at the end. So instead of the 3Lz (BV 6.0, or 6.6 in the second half) he pulls off a 3A (8.5 BV, 9.35 in the second half). An incredible skate! Hanyu is a genius on the ice. It's hard to find words after this: it's not just a competition, it's an ultimate example of creativity. One could say that he tried five quads and pulled off four of them if one counts in that 2Sal, which we all know should have been a 4Sal. Now he's showing to Brian Orser "I didn't do that, so I...", he's explaining to Orser what he was thinking of, how he counted all of it, how he added all up and changed the layout! 206.67 - not a record! But it's a challenge to Nathan Chen - there you are, do what you can! 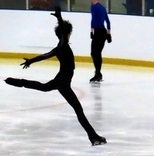 TAT: This boy is very talented as far as figure skating is concerned. Sol: Yuzuru Hanyu from Japan. TAT: This year he won the GPF. Sol: With a result just under 100 points. In the SP. TAT: 4T. Easy. But Zhenya (Evgeny Plushenko) had 4-3! His spin was wonderful. His second spin is wonderful too. He sits down very low – it’s always highly appreciated and assessed. 3A from a very difficult entry. No one enters their 3A like that – with a rocker. Sol: Abbott used to jump it like that. TAT: 3-3. Lutz-toeloop. His skating is very good, free! It fits the style, it’s musical. You see how much turned out his feet are – no one has to teach him to turn his feet out, he was just born with such feet! A difficult position in the last spin, everything is level 4 and everything will get positive GOE. He had a great skate! TAT: Well done indeed! Well done! Sol: And of course he’s so light, so airy, when he enters his spin, it seems to accelerate more and more. He’s like a feather! Sol: It isn’t just the season’s best – it’s the world record. TAT: That’s the WR in the SP. Sol: He got even more in the Japanese Nationals, but it doesn’t count. Brian Orser. TAT: There you can see Mao Asada standing. The team has come to support him, just the way our team supported our Zhenya. It was’t so easy to do that, as he cleaned the ice a lot. He fell a lot. You see, that he didn’t quite make the toe-loop… no, he didn’t quite make the lutz, but got himself to jump the toe-loop. There’s the whole team – the two girls, the dance pair… you see how good he is, he bows to his coach! He fell from his salchow today. TAT: In the depth of the winter, yes. Sol: Yes, with a brilliant result – 97.98. His new result today. He comes first leaving Evgeny Plushenko by 6 points. TAT: But he’s the only one to do that! Sol: He’s the only one. TAT: That’s that! And we’re glad of it! (The skater who’s about to skate) is phenomenal. His star has really, genuinely ascended this season. He’s only 19 years old, he trains in Canada, in Toronto, and at the moment, mind you, he’s the one holding first place in the world ranking, not Patrick Chan. He’s had no major super-success in his career – he won the Bronze medal at the 2012 World Championship, last year, he was only fourth, but this year he pulled himself together and what he showed us at the GPF and the SP – that was incredible! He won the SP during the Team Event here at the Olympics. Let’s watch him – he’s a phenomenal boy with phenomenal skating skills. He’s tiny (what the commentator says, effectively – he’s of tiny height), but it doesn’t interfere with perception of him. Toeloop. He jumps 4T on its own, not in combination and yet gets these incredible scores just short of 100 points. That’s very difficult – off a counter, a step on one foot, he does a 3A. I’ll tell you what, not every skater from the top 10 will be able to land it successfully even during their practices. 3+3 in the second half of the program! I want to draw your attention to the fact that his axel is also in the second half, so he’s going to get a phenomenal technical score. Yeah, bravo! And the audience understand very well how good the skate was! I always think that he feels his music phenomenally well and he lets it sing through his body and his arms, he immerses himself in his music and you can see it. Well, you can see the result. He’s had a lot of difficult situations in his life already. Brian Orser coaches him. And the most terrifying was… well, I’ll tell you about it a bit later, the tragedy of 2011, now let’s watch the slo-mo. 4T. Just look at how high he jumps! Do you see the way he opens up – very cleanly. The landing – from his toepick to the edge, the foot made no waves, didn’t vibrate when he landed it. That was a top-quality jump. There it is – a counter and 3A. It’s very difficult, since you have to turn your shoulders, stop your rotation and then enter the jump. Lutz – very clean, from the outside edge, toe-loop.. there’s a continuous movement, which means the positive GOE for everything. They seem like little details, but they mean many positive GOE added to his technical score, so his score will be sky-high. Look, as far as I can understand it, it’s the first time in the history! It’s a world record! It’s a record! 101!!! 54 TES, and deservedly so, will you agree, Artur? Deservedly, because he executes his elements so cleanly and so easily and musically. Phenomenal! 4T – GOE 2.86. nearly perfect. yes thank you, plenty of people gave me the link thank you ! I just had forgotten I had made an allusion to it here, I'll edit my post. M: So we have decided to show you the best three FS of the competition, a competition of the highest level; programs that earned their performers a medal. Let’s start with Yuzuru Hanyu, who came back from 7th to 3rd place, with a sensational performance. We had said multiple times that this was one of the best free programs of the season and today he proved it to us in an incredible way. A: yes this boy has limitless (immeasurable) talent, exceptional, an incredibly soft knee-bend, wonderful jumps…when he can skate at his best, he’s truly competitive and in this free he did achieve a stellar TES. Now, we are going to analyse it in greater detail. This is Romeo and Juliet’s soundtrack. M: Music by Craig Armstrong, so, the modern arrangement let’s say. A: He starts with this extraordinary 4T. And now look, spread-eagle and 3A. 3F. 3Lz-2T, in spite of a flawed landing on the 3lz he did great by attaching the 2T to it. Then the circular StSq. And here - incredible - a fall on a transition, that came just before the set up for the second axel…but he is able to complete 3A3T anyway *Angelo is chuckling here*. We’ve seen things like this only from Chan. 3Lz2T2T. 3Lo is magnificent too. Extremely competitive on spins too. The last jumping pass. 3S. He managed to land this one too, even if with difficulty. At this point he was a bit exhausted. The program ends with the flying combination spin. A truly stellar program. M: Yes, in spite of that…trivial fall. That makes a fine pair with that missed lutz in the short program. A: Obviously this is a minor mistake [if compared to that one]. Unfortunately it might have disrupted a bit the flow of the program, and he needed a bit of time to recover/get back on track, but little after that he managed to gain enough speed for a fantastic 3A3T. And you can witness his emotions. We’ve said more than once that he has a hard time training as much as he should, because of his asthma- M: he is asthmatic. A: yes…but when he is able to skate at this level, well, this boy’s talent is really, crystal clear. M: he has great flow out of his jumps, and the jumps are always done after particular elements, his axels are at Plushenko’s level, if not even better. Considering his age we are seeing an incredible prodigy. A: We shouldn’t forget that he isn’t even 18 yet, fantastic. That mistake in the short had relegated him in the background/rear, and he lost a lot of points and was far away from the podium, but with this wonderful performance, exquisite from a technical perspective and really solid, he managed to make a come back, similar to the one we saw among pairs, by Volosozhar/Trankov. M: In the men’s field it had never happened that an athlete had managed to come back from 7th place to make it to the podium. Hanyu managed to succeed in this feat. It seemed difficult after the short program, but let’s not forget that this boy had five triples - and an axel among them - in the second half of his program. And this means racking up a lot of points that can really make a difference. A: In the meantime we can check again that moment, a backcounter that was meant to be a transition, coming just before this fantastic combination, 3A3T. Yes, lots of points with those triples, a great quadruple to start and a lot of quality in terms of choreography too. Great spins too, besides the last spin that did not reach the maximum level. He truly is a complete skater. M: The score that is coming up is really extraordinary, as you’ve all understood by now. Let’s start by saying that in history - because we can already start talking about history - only Patrick Chan - current world record holder - Kozuka, Plushenko and Takahashi have achieved higher scores. So hats off to this boy, who’s just a little over 17 yo. A: And look - the expression on his face when he sees the score. Fantastic…and this boy definitely has room for growth, because he can improve for sure, but his quality is already incredible and exceptional, indeed. M: And 90 points of TES have been reached only by Chan, Kozuka and Takahashi, so…superb performance by Hanyu. 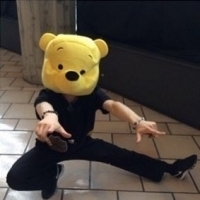 So, Yuzuru Hanyu – he looked brilliant in the Team Event. Everyone said about how light and weightless he looked, how concentrated he was, how technical and flexible he was. Lots of descriptions, and one of them – the last one – how young he was. Boys are not like girls – Lipnitskaya, 15! To do a quad at 14, 15 or 16 is a separate experiment and they haven’t reached it yet, but they will! I mean at real competitions! The music is Gary Moore’s famous song and he’s immersed in his movements. He’s so free. It’s just incredible, the way it looks here at the stadium, live… so free and fluent that Gary Moore’s improvisations on his electric guitar fall short of expressing the freedom of this guy’s movements. One gets an impression as if he’s just walking freely, as if he’s at a show, as if he’s Kurt Browning’s son (??? ), as if it’s nothing much to him, as if he didn’t start working yet! All this conceals hard work and incredible talent – only the combination of these two things will produce an impression we’re getting from Yuzuru Hanyu’s skate. And I can only wonder how much air flight his jumps have – look at his quad, off he jumps – and his skate was straight backwards on his left foot, and his landing is so exact. When he was executing his jump, there was an impression he could have added a bit to the jump. 3A – the absolute. Of course, that freedom has an element of youthful skating, he’s got a teenager face and we’re not used to such boys becoming Olympic Champions. It’s more usual with girls, but in men’s competitions it just doesn’t happen. We’re used to seeing a grown-up man’s build and character in skating, but it makes it more interesting to see that youthful viewpoint of the world. He’s gone beyond 100! That’s a record! 101,45! Oooh! The free program will be more interesting now as the experience of some athletes will try to overcome this youthful exuberance. Mods, feel free to delete this post of mine, if it doesn't fit the thread. Just realised there are not so many posts commenting. Perhaps, they’ve a lighter configuration? Gary Moore’s Parisian Walkways is the music of Hanyu’s SP. A choreographic start of the program. He skated around a little and now it’s the entry to the jump. I’ve a feeling it was better than Fernandez’s! Cool, isn’t it? He turns around with a 3-turn, swings his leg and jumps immediately! 3Lz3T! Cleaner than with Fernandez, I think – it looked easier! You’ll agree, dear friends, that this wasn’t a SP, it was just an exhibition number at the gala at the end of NHK Trophy! Well, over here the Japanese audience are raving, everyone is cheering for him. The 17 year old Japanese skater. I can just imagine everyone thinking this is the future Olympic Champion for Japan. You know it’s hard to say he just skated the program, or that he jumped through it, or just that he span around it… It’s like a performance (literally, work of art) – and he performed it! He produced a major effect. The spectators can see it too – well, they aren’t as much experts as the judges. The judges will notice everything. They won’t be able to give him anything lower than 90! Orser is happy, as you can see. You see the way they’ve figured things out for the three of them (literally, an idiom meaning ‘they’ve knocked off a bottle between the three of them)? It worked very well for them. The three of them have come together, three merry friends (an allusion to a well-known Russian song here). I’m concerned how Fernandez is going to cope with the competition, because Fernandez is a hard worker, he’s a workaholic. He started with the 35th position at his first World Championship and he’s been making it for the podium for years, and then there appears a 17 year old next to him who just goes out onto the ice, skates – and gets more! And you understand that you’ve been working your socks off for so many years – and then you see a talent like that! Yeah! Three skaters make a crew. (a quote from a song, sorry, nearly untranslateable!). Well done, guys, great, both Fernandez and Hanyu! He’s been training with Brian Orser since spring 2012, but I’d like to remind you of his previous Japanese coaches who he grew up to this level and won the 2010 Junior World Championship – they are Nanami Abe and Shoichiro Tsuzuki. Hanyu grew up into what he is now with these specialists, so you can’t say in this case that Orser made him a champion, no, he came to Orser well-prepared. But they’re cleaning up the finer points with Brian Orser, Tracey Wilson, the choreographers David Wilson and Geoffrey Buttle, who was invited by the team to choreograph the FP (sic!). That’s a great shirt, look, these folds, and inside they’re covered with glittering mirror-like cloth. They look fantastic during spins or step sequences. Yeah, you’re a lucky guy, Brian Orser, to get such students! But on the other hand, he provided Korea with their first Olympic Gold. Yuna Kim won in Vancouver. Yuzuru Hanyu has just thanked everyone. Well, the same score, the same score – 95.32, now I hope these numbers don’t go to his head. He made his home audience happy. I think his success won’t go to his head! Everything will be all right here! This young boy – he’s only 17, he’ll only turn 18 on December 7th – Hanyu is getting a special attention. Look, 95.07, World Record in the SP, the result he got at Skate America. Then he was brilliant in his SP, without a single mistake. The judges couldn’t find a fault with anything, so he got such a high score. What can you say, he’s just brilliant! Honestly, I wasn’t sure that the 17-year-old Hanyu would be able to cope with his SP – the general expectations, everyone came round to see him, his home audience, his home arena – all that must have been a pressure for the boy. But look at the way he performed it – he went out on the ice as if it was nothing much, absolutely relaxed, and he did everything. He has wonderful spins, and in Canada (???) all his spins got level 4, and here too… Once again, he has done as well in his SP here as he did in Seattle. In Seattle, US. Now it’s understandable why Brian Orser wasn’t along with Javier Fernandez when his score was announced – he was preoccupied with the other student. Of course it’s hard to surprise Brian Orser with anything, but here he is… let’s have a look – a splendid 4T, these spins – so fine and elegant! Difficult and elegant… every one of them will get level 4. You can such ease and lightness in his program. An excellent 3A. He’s got a very difficult program – a quad, 3A and 3Lz3T combination. Yeah, he’s got perfect nerves – I remember that in Canada, well, I mean, the US, not Canada he bombed his FS just because he seemed to have been shocked by the score he got for his SP. Let’s see what he gets today. I’ll remind you that he got 95.07 at Skate America. And all you can do now is take off your hat – 95.32! A new world record – he surpassed his brilliant result by nearly 0.3. 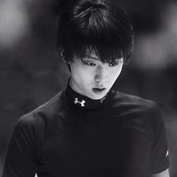 By this GPF Yuzuru Hanyu will turn 22 years old - just on the day of SP draw. Now Yuzuru Hanyu, Sochi Olympic Champion, 2014 World Champion, the holder of all imaginable and some unimaginable world records in single men's figure skating will show us his short programme. He was beaten by Patrick Chan in Canada. Now he's changed his costume and he's also changed the Missisauga ice arena for one in Sapporo. (after Yuzu's 4Lo stepout) Oh, he jumped the 4Lo during the warm-up, but he couldn't hold the landing a bit here! But 4Sal+3T was brilliant! And what an axel - I'll be very surprised if he doesn't get +3 from all the judges, very surprised! Well, there's no doubt who wins the SP, but you can feature me in Japanese comic books, since I have very surprised look - the 3A got a +2 from one of the judges and it shows in the preliminary protocol. But it was the only judge who did it. I'll remind you that Hanyu's SP world record is 110, or nearly 111 - 110.95, which was set not in Japan, but at the GPF which Yuzuru won. Willl he get more, that is the question? It was a great SP, a great skate, of course, the 4Lo wasn't done successful, but still quite decently, so Brian Orser can share the huge candy he got from the stands with him. The yellow Winnie the Pooh should become the best talisman in the history. So Brian says, it was fine, it was all right. Brian says it was great very calmly, he continues that it was all right. Well, it was quite impressive! Yuzuru rubs his hands in anticipation. Well, he's had greater scores, but you can't expect more with such a serious mistake on his 4Lo. Yuzuru Hanyu gets 103.89, and if I'm not mistaken, it's the season's best result overall. Which place is he holding? That's right - he's first.